I hope everyone had a happy and safe 4th of July. We are fortunate to have a great fireworks show each year at Tustin High School. It has been awhile since we have had anything to write about. Although June is the month for community events, things around our town Tustin have been kind of slow and we have had to deal with the realities of a death in our family. So, my apologies for not being where the action is…was. We turned to the Tustin city website to write our weekly blog entry on the agenda and, lo and behold, they have given us a virtual cornucopia of color to deal with on the newly designed site. It may take us awhile to learn to navigate this wonder. 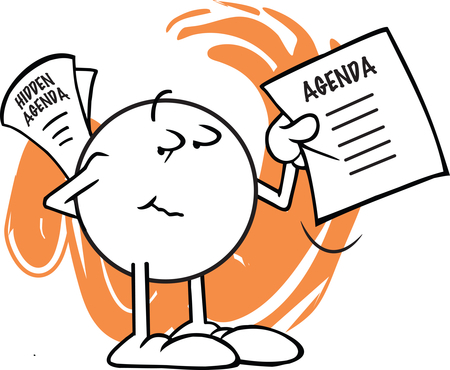 Fortunately, not everything is new and it was fairly easy to find the city meeting agendas. As I write this, I am listening to a joint city council – planning commission workshop that shows why the Tustin Planning Commission has been silent these last few weeks. It seems the Community Development Department has been working behind the scenes to develop a presentation on urban living. We’ll reserve judgment until we have had a chance to listen to the entire presentation. For those of you who are interested in why the sudden push, however, Item 2 on the workshop agenda is a presentation by Irvine Asset Group for a Redhill Avenue project they are proposing to establish a mixed use of apartments, lofts (euphemistically called “live/work” lofts) and retail space. It looks to be an interesting project in any case. Well, we know how the live/work lofts worked out for the Utt Juice Building project a few years ago. It doesn’t appear that anyone living there actually works there. That is, unless you want to count the “spa” on the corner of Third and Prospect. Don’t fret if you didn’t know it was there. Neither did Google Maps. On the Tuesday agenda of the Tustin City Council, the Closed Session has no surprises. The usual litigation issues head up the list followed by the ongoing discussion with Tustin Unified School District reagarding Legacy property issues. Labor negotiations have been ongoing for the past few weeks. It looks like this is the final discussion as the city council will vote, under regular business, on MOUs for both the rank and file and police non-worn contracts. Labor negotiations in our town have not been known for much dissension, however. Most of the time the employees have rolled over and accepted whatever the city demands as they screw the rank and file while rewarding the executives. In other words, business as usual for Orange County. The Consent Calendar also hosts few surprises. Item 5, Resolution of Intent to Grant a Franchise to Wickland Pipelines, will allow folks serving John Wayne Airport to run Jet Fuel under the south side of our town. This project is a few years old so there are no real surprises here. I am surprised that our resident water guru, Councilman Allan Bernstein, isn’t chomping at the bit to discuss Item 6, Water Conservation Update – May 2015. In perusing the staff report, it looks like we Tustinites have stepped up to the plate and accomplished our water conservation goal and then some. Required to conserve 28%, we actually saved 29% over our 2013 water use. Bernstein should be giddy. Looking a little deeper into the report, it looks like staff are attributing the savings to a relatively cool month. Come on, though. Those sign out and about town dictating watering days for everyone probably had some impact, along with the huge PR campaign the city has had. It doesn’t hurt the city contracted an experienced conservation code enforcement officer to target scofflaws, either. 36 violations have been reported but it’s not clear in the report whether they were all remedied. It’s doubtful the sole Public Hearing will generate much dissent. Item 9, Streamlining City Building Department of Solar Panel Permits, will make it easier for residents to obtain permitting for solar panels. It will also help the city to achieve a state mandate on alternative energy. Under Regular Business, Item 10 – Memoranda of Understanting with TMEA and TPSSA, the city council will accept the contracts for the bulk of city employees. As a reward for all the “concessions” the employees gave to an arm-twisting negotiator over the past 6 yeasrs, employees will receive a 3% raise for each of the next two years as well as a lump sum payment. The agreement also specifies other increased benefits, including the recognition of Martin Luther King Day as an official paid holiday. Although our city employees are among the best paid in the county, this raise and benefit package is long overdue. You get what you pay for and, frankly, Tustin residents have gotten a whole lot more the past few years. Hopefully, there is no dissent among the city council over this contract. Let’s hope our sworn officers in TPD do as well. The only other interesting entry on the agenda is Item 14, Appointment of Replacement Successor Agency Board Member. Councilwoman Beckie Gomez is resigning her position on the board for personal reasons (We have an email in to her but haven’t received a reply). Although the staff report says the city council can appoint anyone, my bet is it will be another member of the council, likely Dr. Bernstein. Any bets? Just a few things happening on the Tustin City Council agenda this week. Aside from the usual suspects in Closed Session, there are two Public Hearings to contend with. Also, one or two of the items from the Consent Calendar may be pulled. For our money, the city council may want to discuss the noise abatement level report from John Wayne Airport. The agenda says average levels at the monitoring station have remained constant for three of four quarters. They should move that monitoring station to my house. Seriously, there have been complaints in every quarter of the reporting period but the numbers say the noise is below acceptable levels. Not much there, unless you want to wade through a 56 page report, but enough the Three Amigos may want to pat themselves on the back about. Both of the Public Hearings, may generate some discussion. The hearing on Redhill Lutheran Church is the second public hearing on the matter. On September 11, 2012, the Tustin Planning Commission held a lengthy hearing on the proposed General Plan Amendment, Zoning Change and Conditional Use Permit for several residences that are actually the property of the church. The commission recommended approval of the changes to the city council on a 4-0 vote. The sole opposition at the meeting was a resident who lived across the street from the church and who was concerned the changes would impact traffic and parking in the area. The pastor of the church said the residences had, in essence, been operating the same way for several years and there would be no change to their use. The purpose of the GPA and CUP were simply to bring it in to compliance with city requirements. This will be the second Public Hearing on the matter. There may be discussion as this will give others who may not have known about the requests to come forward with their concerns. The second Public Hearing is one we wrote about yesterday. It is an appeal from an approval for a CUP for Goodwill Industries of Orange County to establish a high end retail outlet store and donation center in Larwin Square. The Planning Commission approved the CUP 4-0 on August 28, 2012. Surprisingly, Tustin Councilmember Deborah Gavello filed an appeal, stating simply “based on location”. When we attempted to contact Deborah about her concerns, she refused to speak with us. So, I guess we will all be waiting with bated breath until Deborah speaks. Conference with Legal Counsel Existing Litigation – City of Tustin v. Keybank, N.A. Public Hearing – Redhill Lutheran Church, General Plan Amendment, Zone Change and Conditional Use Permit for several residence properties adjacent to the main church property. Public Hearing – Appeal of Panning Commission Decision to Approve Use Determination for retail space to be use by Goodwill Industries in Larwin Square. That’s it. We probably won’t make the meeting but we will report back on anything worth reporting. Of course, YouTube for really good repartee is always an option.